My love for one-piece garments is no secret. At first I was like, “Jumpsuit? Nah, you’ll never convince me to wear one.” But I guess I just ate my words a thousand days ago lol. Currently, I find myself on the hunt for a one-piece suit because it’s such an easy piece to dress up. It’s always my go to whether I’m running late or I cannot think of what to wear. Like rompers, jumpsuits have the ability to make a simple look effortlessly stylish in an instant and this lightweight jumpsuit from Cinderella is no exception. The material is light and the fabric is breathable. Not to mention that it’s a versatile and timeless piece of clothing. It can be worn to any occasion or event from during the day to evening. I added my favorite layered necklace to make the look complete. 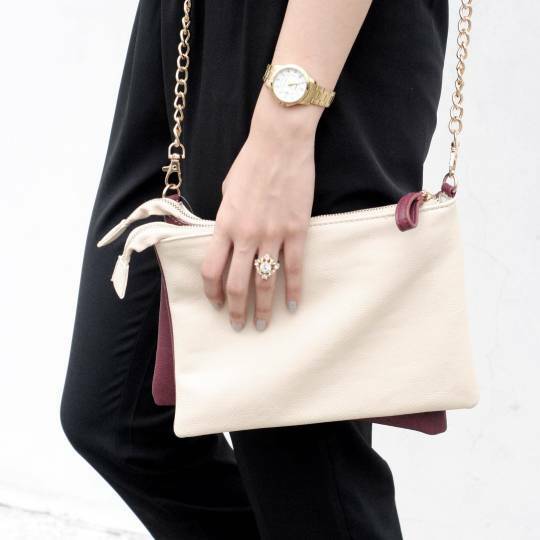 Wouldn’t you agree that accessories are the key to boost the outfit?